Choose from a range of hotel rooms and family friendly accommodation at Glen Mhor Hotel & Apartments, Inverness. Located on the banks of the River Ness, just minutes from Inverness city centre. The perfect option for guests looking for a comfortable room whilst exploring Inverness and beyond! 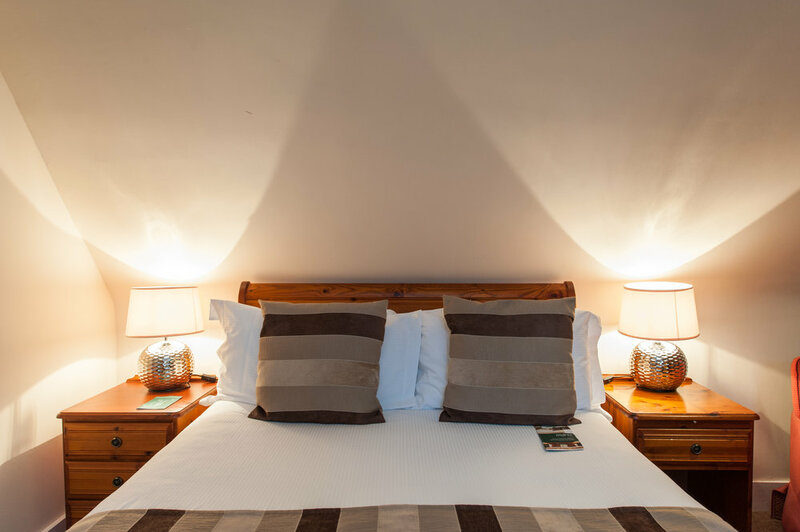 Traditionally furnished, our Classic Double rooms offer a comfortable night’s sleep in a double or twin bedroom. Why not upgrade your room for a small supplement and enjoy spectacular views of the River Ness? Enjoy more space than a Classic Double, and fantastic views of the River Ness, in one of our Classic Riverside Rooms. Traditionally furnished, our Classic Riverside Rooms offer a comfortable night’s sleep in a double or twin bedroom and can sleep two adults and one child. Our Classic Single Room with a single bed allows you to benefit from all the comfort from a hotel at a reasonable price. Our best value room, the Classic Single Room is ideal if you are visiting Inverness on your own and looking for just a good night sleep. Enhance your Inverness stay with one of our Deluxe River View rooms, and enjoy stunning views of the River Ness and the city backdrop. Individually decorated and recently refurbished, they offer more space than our Classic Rooms. Our Family Apartments at Glen Mhor Hotel & Apartments are the perfect option for your family break to Inverness. Your kids will love having Inverness on their doorstep, and free WiFi to stay entertained throughout their stay.